Having your own set of wheels certainly has its advantages and is a necessity for many people. Unfortunately though, the cost of car ownership is going up. Currently, millions of motorists are watching rather helplessly as their insurance premiums rocket skywards. As figures reveal an all-time high for renewal costs, some drivers have seen the cost of their car insurance go up by a massive 50%. The insurance industry is pointing the finger at increased cash-for-crash fraud to explain this rise. 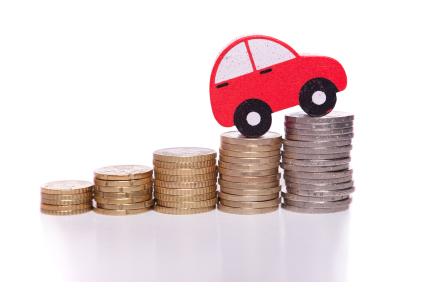 According to research by the AA Index, young, male drivers (aged 17 to 22) have really felt the brunt of the increases – with their premiums typically rising by 51% to an average of £2,500 per year. Some parents have been accused of ‘fronting’ in an effort to get lower premiums. This involves adding their child to their policy as an ‘occasional driver’, when in fact their child is the main driver of the vehicle. This could result in cheaper insurance for them, but is in fact fraud and could drive premiums up for other motorists. Another reason for increased cover costs is the rise in compensation pay-outs. Yes, we’re officially living in a claim-heavy culture, with personal injury claims in Britain around 4 times higher than in other European countries. Insurance companies have reportedly been paying out around £123 in claims for every £100 they get in premiums. Motorists should try shopping around at renewal time and comparing quotes from a range of different insurers to make sure they’re getting the best deal possible. Things don’t always run smoothly when it comes to your vehicle. If something goes wrong with your car, you could face large repair bills to put it right. Car warranty supplier, Warranty Direct, recently conducted a survey that revealed how mechanic costs are on the rise. The research showed that some motorists were being charged up to £190 per hour by some garages. These high prices have pushed up the average garage labour cost to around £75 per hour. The survey results also offered some practical advice to motorists looking to save money. Main dealers will typically charge about 40% more per hour to work on your vehicle than an independent alternative. Many smaller garages charge half as much as main dealers, so it could pay to seek out a good, independent mechanic. Also, don’t scrimp on your car’s MOT. Spending a bit extra on an MOT now could save you money in the future. A garage offering a discounted MOT may be hoping to make up the extra income in repair bills to give your car a pass. Council-run MOT testing stations could be a good option. They normally charge around £55 for a full MOT. As they don’t do repairs themselves – they have no incentive to fail your car and suggest work that needs doing. Moneysavingexpert.com offers some useful advice on passing your MOT, along with more detailed information on council-run test stations. To find out more, click here.